Injured hamster or tiny, furry lamp? It was probably a hamster-wheel-related accident. "I HATE that thing around my neck…" – poor Chmurka, originally uploaded by pyza*. 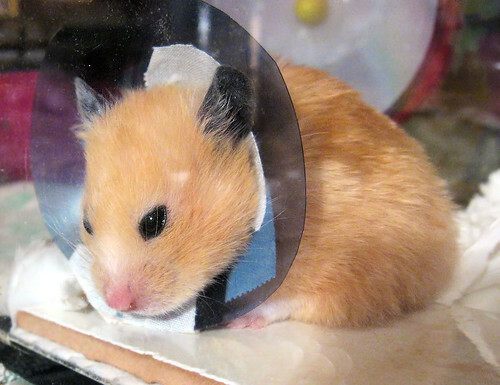 Posted in hamsters, pictures | Comments Off on Injured hamster or tiny, furry lamp?